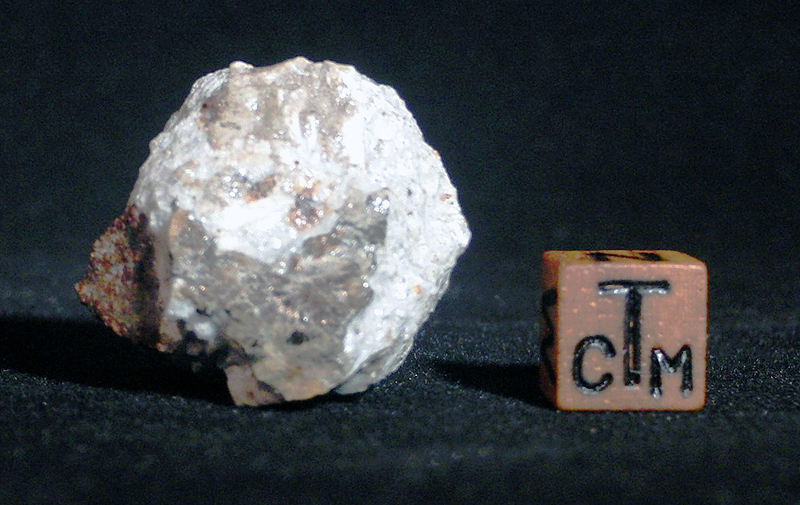 This rare Aubrite class meteorite fell in February of 1947, and was witnessed by hundreds of people. Falling on the border between Kansas and Nebraska in the United States, the white colouration comes from the mineral enstatite, which is a pyroxene mineral with magnesium, Silicon and Oxygen. 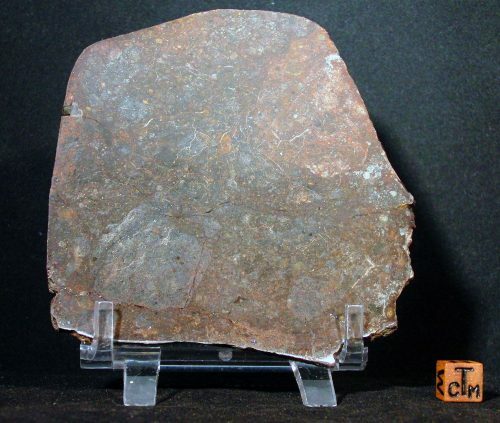 The depleted iron levels in this rock, means that the usual green colour associated with this mineral is now almost white, and, very rare for a meteorite of any type, it fluoresces under a UV lamp. Scientific studies of the aubrites, seem to indicate that their origin may be one of two asteroids, 3103 Eger and 434 Hungaria.